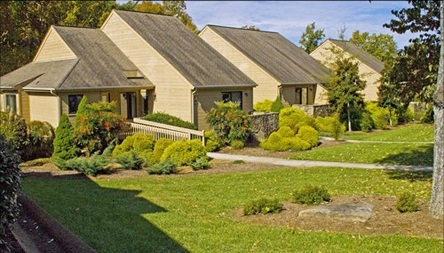 1 Bedroom Suite at Wyndham Resort in Fairfield Glade,TN! Wyndham Resort at Fairfield Glade in Fairfield Glade, Near Gatlinburg, Tennessee! - Buy a 7 Night Stay in a 1 Bedroom Suite! 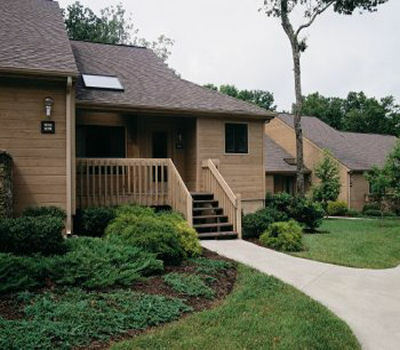 Enjoy a 7 Night Stay in a 1 Bedroom Suite at Wyndham Resort at Fairfield Glade in Fairfield Glade, TN! Fairfield Glade is a 12,500-acre outdoor playground on the Cumberland Plateau, offering extraordinary golf, fishing and lake activities for anyone who enjoys the great outdoors. Fairfield Glade resort is home to a 36-hole golf course and three 18-hole courses, including Stonehenge, among Golf Digest's 75 best resort courses in America. An on-site recreation area features miniature golf, indoor and outdoor tennis courts, and an outdoor pool. Or enjoy fishing/boating and swimming at any of the 12 no-wake lakes. Because Wyndham Resort at Fairfield Glade is located in the lush Cumberland Plateau region between Nashville, Knoxville, and Chattanooga, vacation possibilities are endless. The resort itself sits on 12,500 acres of the Cumberland Plateau, and this makes the resort and resort destination really one and the same. Besides the amenities listed for the resort, there are two sandy beaches and marinas that provide boating and fishing tackle. There is a town center for just about every daily service you would need, including a bank, salon, and grocery. Each unit is air-conditioned and offers cable TV. Additional amenities vary with the size of the unit but may include a whirlpool spa, VCR, microwave oven, fireplace and washer/ dryer. The ONE BEDROOM SUITE contains a king-sized bed in a private bedroom, a sleeper sofa in the living room, some with a fully-equipped kitchen, a washer/dryer, one bathroom, and a porch or a balcony. Maximum occupancy is 4 for the unit. THE FOLLOWING DATES ARE AVAILABLE IN A 1 BEDROOM SUITE! Health club access is complimentary. A credit card imprint of $100.00 USD is collected at check-in. Guests may arrange tee times up to 5 days in advance.